The best gift for your best friend or boyfriend or girlfriend, and the best gift to get from your friend – a silver best friend necklace! 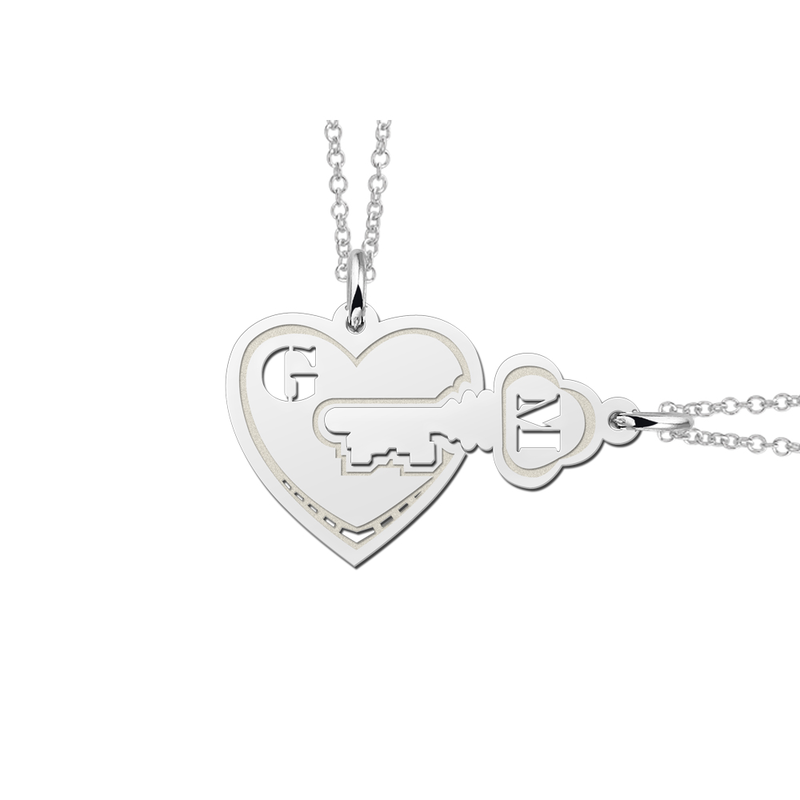 The best friend necklace is out of pure silver and says BFF, Best Friend, Best Friends Forever, it tells your boyfriend you love him, it tells your girlfriend you love her! 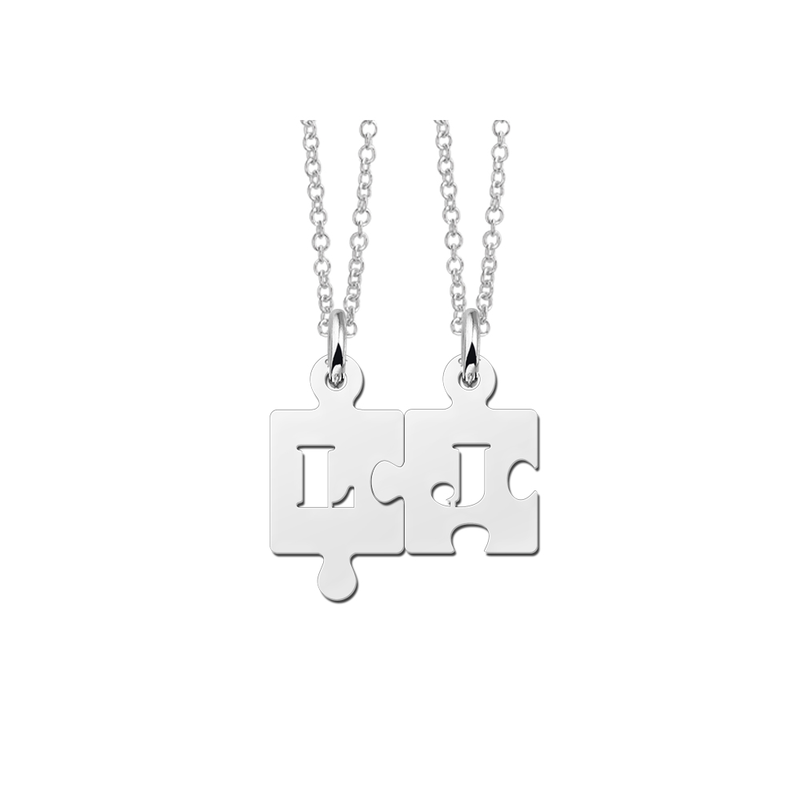 We have some very special silver best friend necklaces for some very special people and best friends. 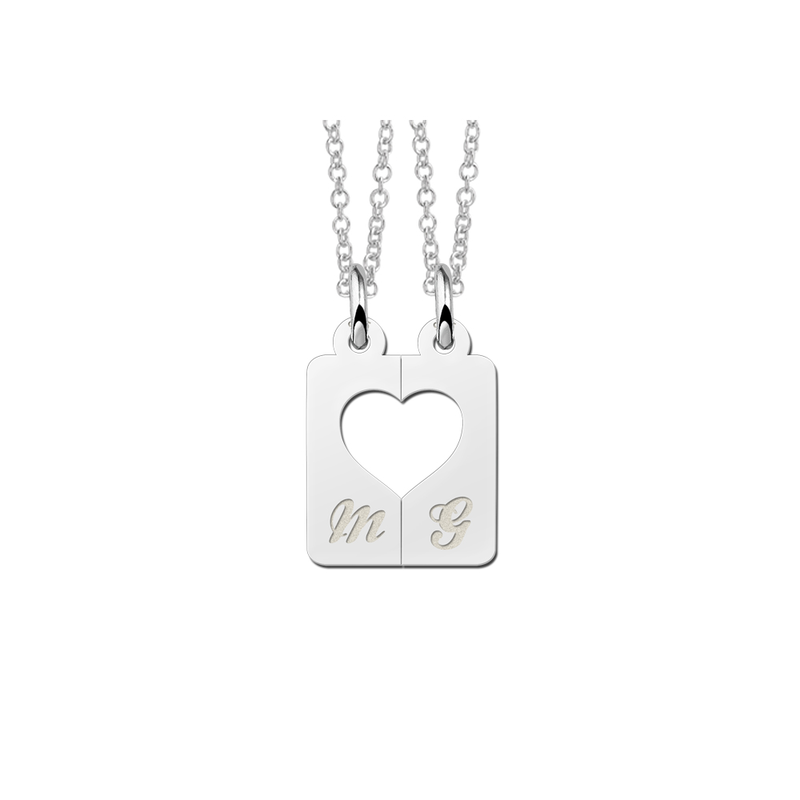 We put both your names or initials on the silver best friend necklaces. 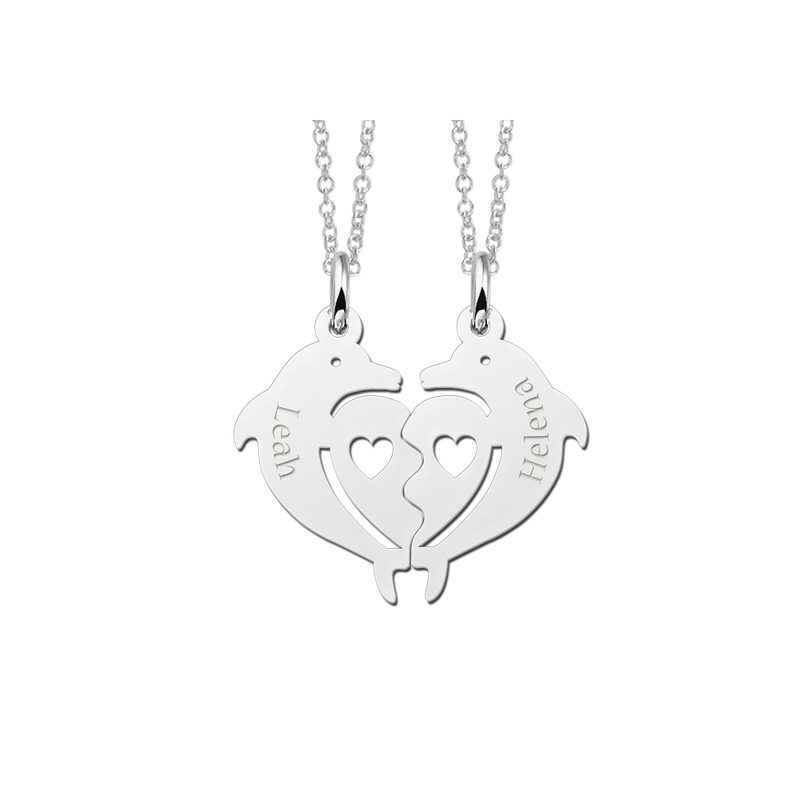 The silver best friend necklaces look truly fantastic and they come in pairs, one for you and one for your best friend, boyfriend or girlfriend. Each set of the best friend necklaces you buy from us has two necklaces and two pendants. 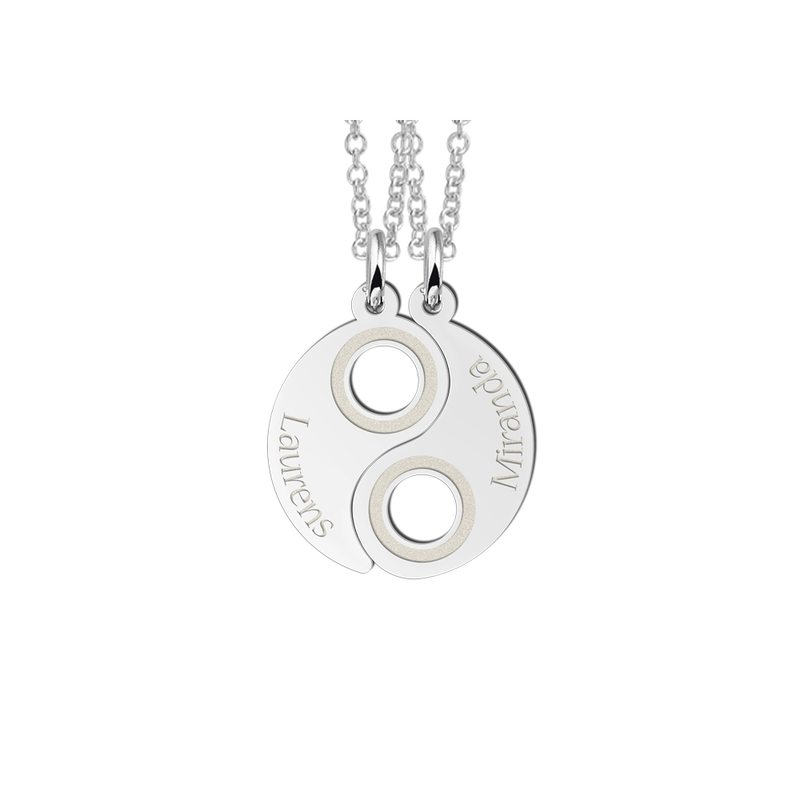 Each of the best friend necklaces has a friendship pendant. 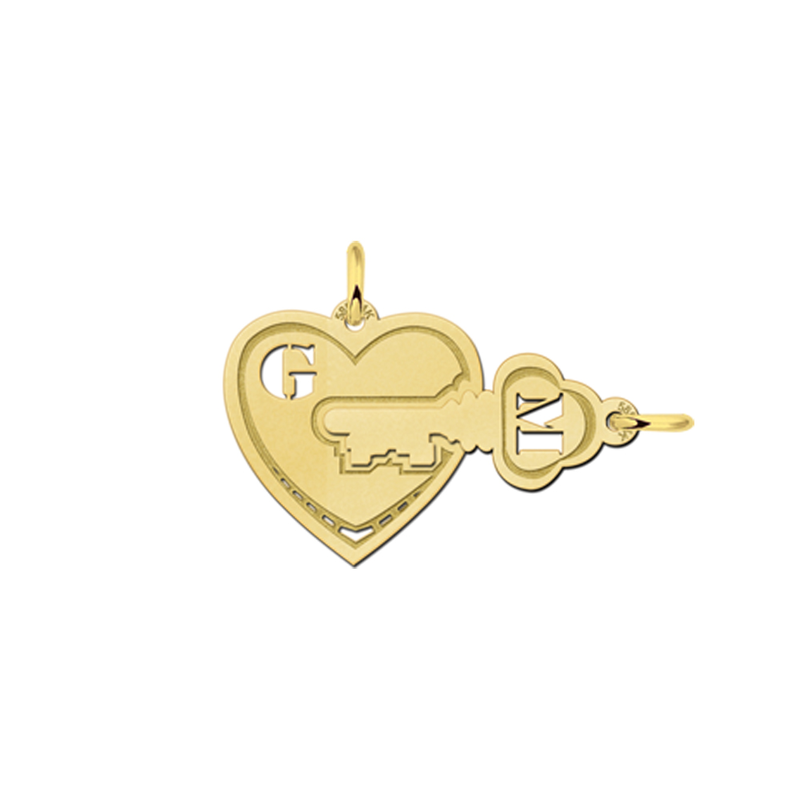 The two pendants interlock to form a single whole best friend necklace. 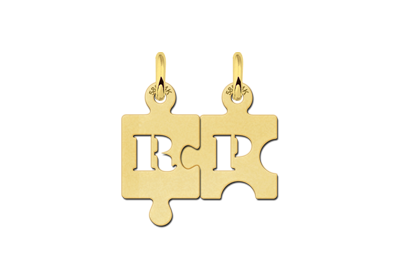 We have them in many different shapes: puzzle pieces, hearts, a yin & yang symbol. 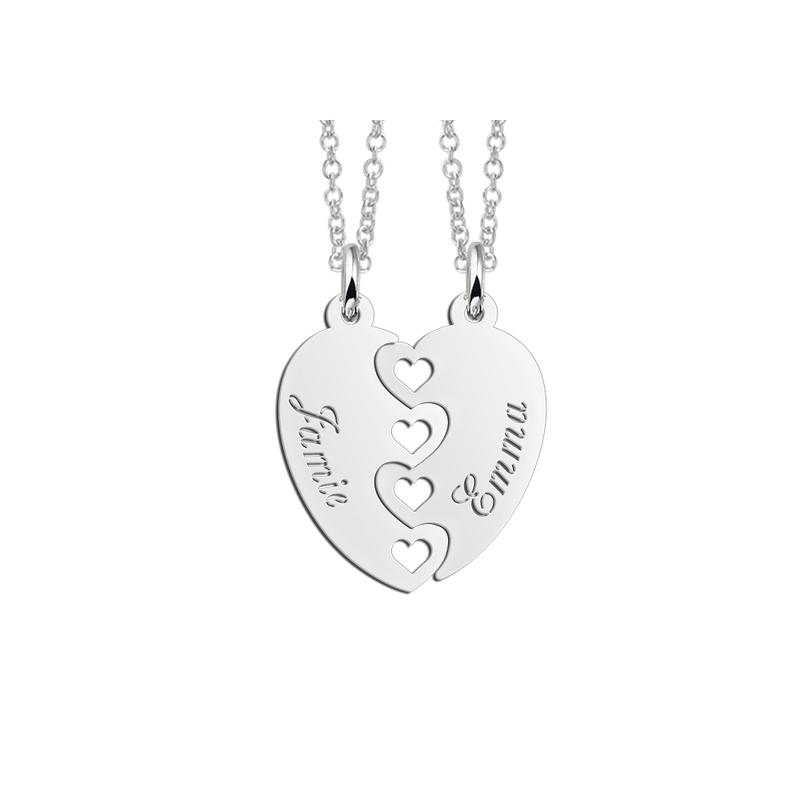 Which silver best friend necklace fits your friendship and your girlfriend or boyfriend best? Your best friend necklace order is sent from our studio within four days. 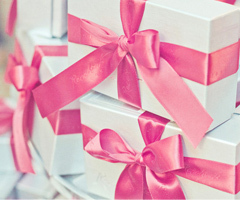 Depending on the postal service, you will receive your best friend necklace another 5-8 working days later. We do not charge you any shipping costs! 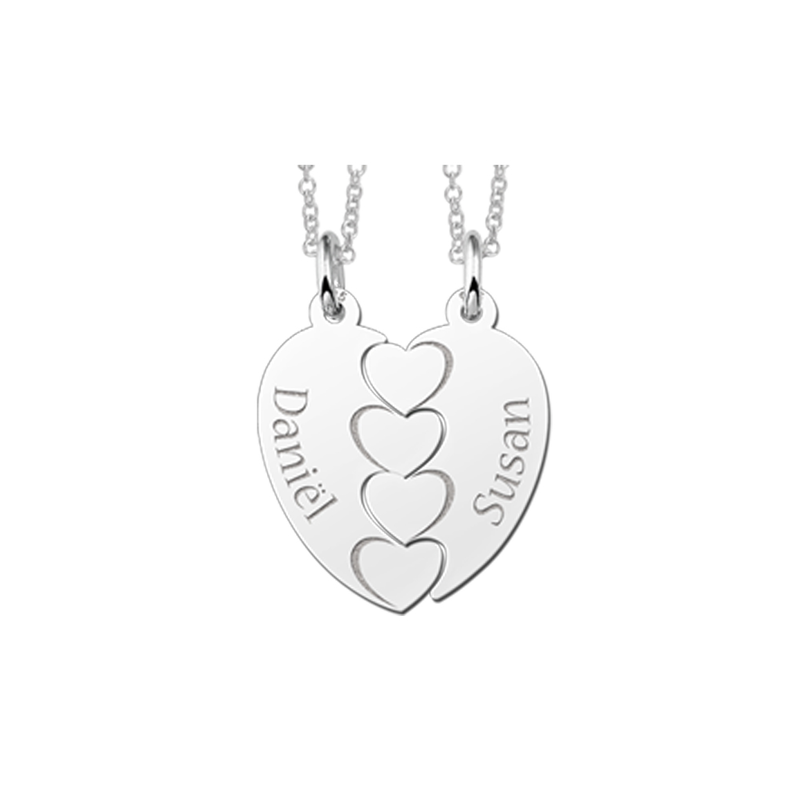 We make silver best friend necklaces of excellent quality at very low prices. All our best friend necklaces are finished to perfection and are looking sensational! 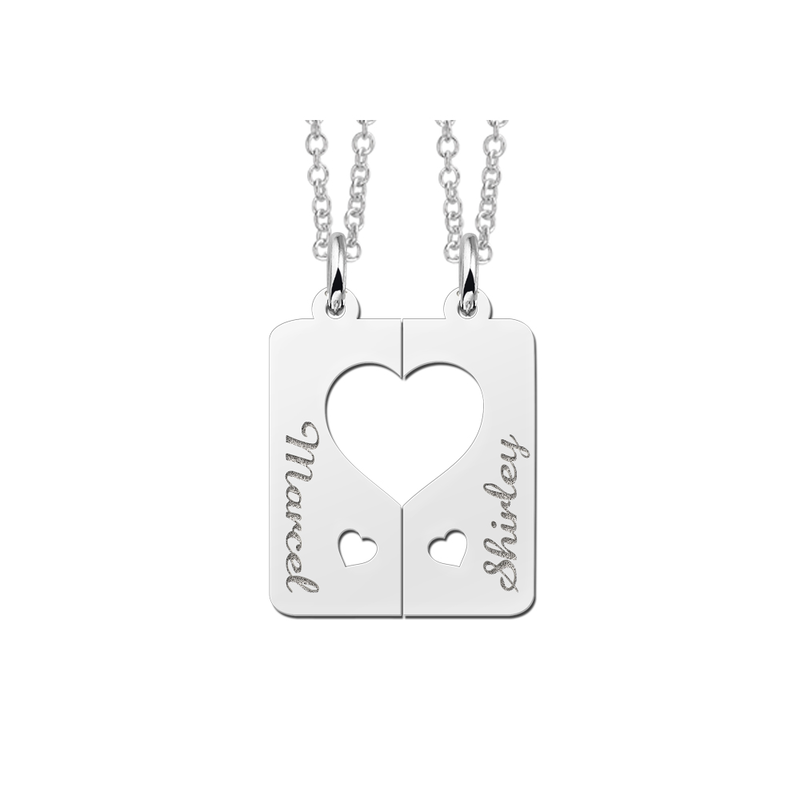 Browse around and order here your personal silver best friend necklace today!